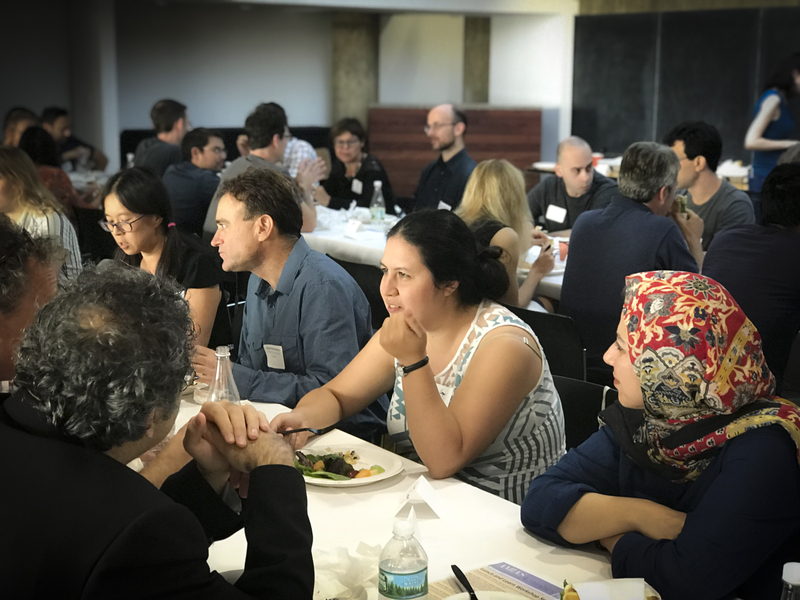 Sponsored by AMIAS, the "Lunch and Learn" series provides a unique, once-a-month opportunity for all Institute scholars and their partners to come together and learn about one another's research, and other topics of mutual interest. All sessions will be held in the Dilworth Room and lunch will be provided. Advance registration is required. Members spend most of their time with other scholars in own their Schools, but interesting and rewarding connections are often made across disciplines. Using a fun, "speed dating" format, this session offers scholars and their partners the opportunity to make connections with individuals from across the Institute community. Whether you've just arrived on campus, or have been in residence for an extended period already, all are welcome to attend. Dilworth Room, Simons Hall 12-1:30 p.m.
Coach and Speaker Rena Seltzer helps Faculty at numerous universities (including Princeton and Yale) to tackle issues related to work-life balance and time management. In this workshop, Rena will present a program specifically tailored to help Members make the most of their Institute appointments, whether that means finishing a book project, networking with peers, branching out into new areas of research, or something else. Lunch will be provided. To register click HERE. Members spend most of their time with other scholars in own their Schools, but interesting and rewarding connections are often made across disciplines. Using a fun, "speed dating" format, this session offers scholars and their partners the opportunity to make connections with individuals from across the Institute community. This workshop addresses the causes and consequences of the academic leadership gap for women, along with strategies to overcome the effects of this gap. Presented by the AAUW, the workshop will provide tools for anyone with a goal of achieving a leadership role in the academic community. Dilworth Room, Simons Hall 12-2:30 p.m. Since we have reached capacity for this event, we have closed the registration. If you are interested in having your name added to a wait list, please email llg@ias.edu. This panel discussion will cover topics across diverse academic areas in how to get published, the editorial process, business concerns and market considerations, and differences between publishers. Academic Publishing: An Insider's View will be held in the Dilworth Room from noon-2:00 p.m. A buffet lunch will be provided in the room. Are you curious about open source tools and their use at the Institute? Join Jeff Berliner (IAS CIO), Sabine Schmidtke (Faculty, School of Historical Studies), and representatives of ORCID on March 1st from 12:00 to 2:00 to learn how ORCID iDs support scholarship in all disciplines and how the Institute is leveraging its role as an “ORCID Partner Institution” to promote open access through its Albert database. Workshop attendees will also have the chance to create an ORCID iD of their own and learn more about how to make publications and other materials available through Albert.